When it comes to high quality tactical rings and base for your sniper rifle, there is no shortage of excellent options to chose from. Leupold, Badger Ordnance, Seekins Precision, Vortex, Nightforce, the list goes on and one. Typically a set of high quality tactical rings will set you back between $150-$250 USD and a matching high quality Picatinny rail is $100-$150. In short, you could be looking at paying the price of a nice sidearm just to mount your optics. Of course, when your life, and the lives of those you are assigned to protect, depend on it…no price is too high! If you can afford it, by all means, pay the high price for the best that money can buy. Unfortunately, when it comes to lower cost alternatives that can serve in this capacity, the number of options drastically shrinks. Not every individual or law enforcement department can afford to spend that kind of money on just the scope mounts. In terms of single-piece Picatinny rails, there is at least an acceptable amount of good quality options to choose from. These are typically made of aluminum, and available for most rifles. 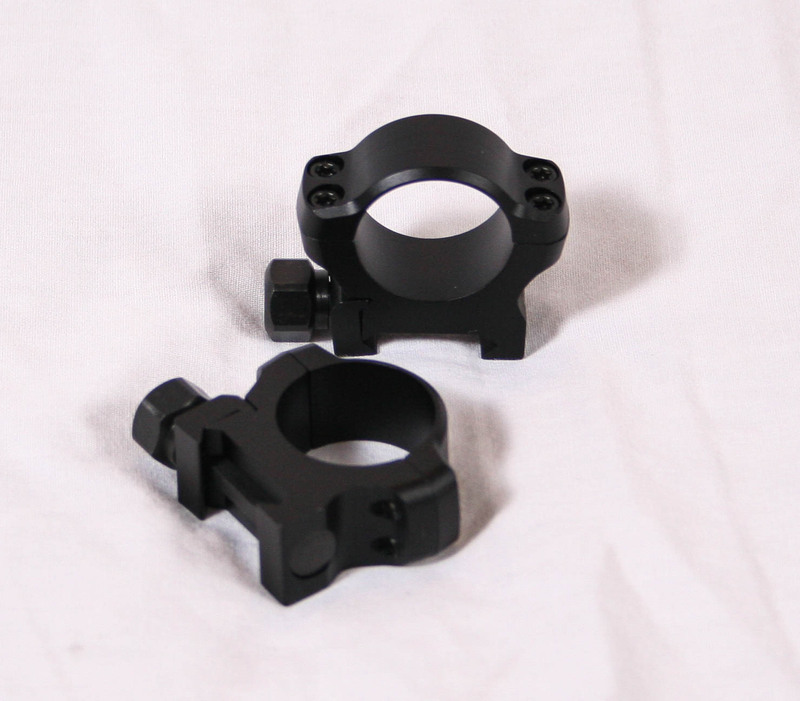 Where the real shortage falls, is in good quality tactical scope mounting rings at more reasonable prices. Typically the six screw Burris XTR rings have been the predominant game in town, but we are always on the lookout for alternatives or perhaps a better solution than the XTR rings since they have not always been 100% reliable. 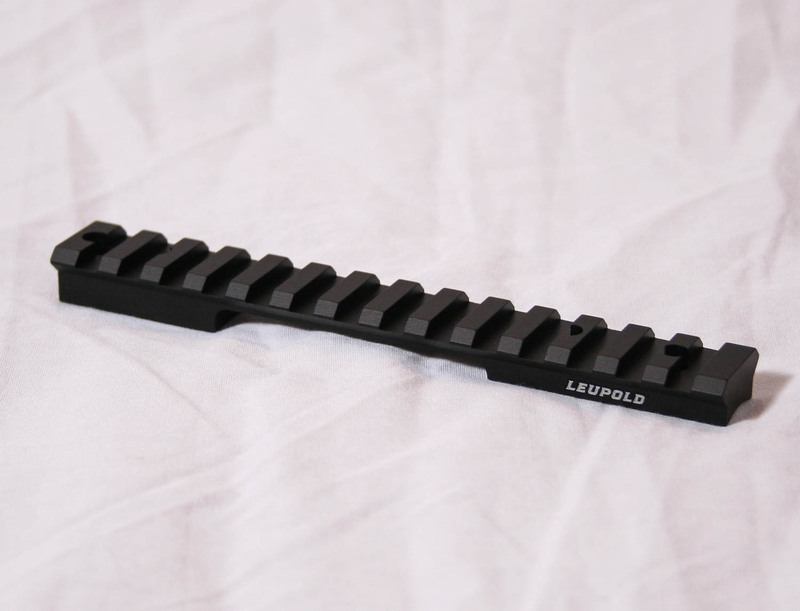 So here we are looking at the Leupold BackCountry cross-slot rings and bases. 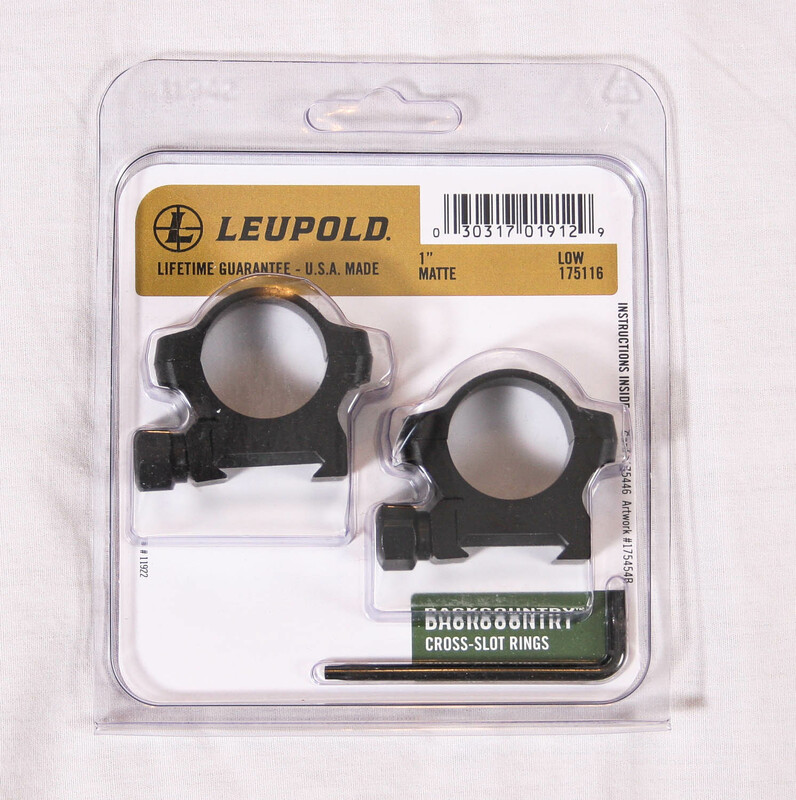 These are new to Leupold’s lineup and they look like they just might fit the bill, so we thought we would check them out to see if they are suitable for at least light duty sniping work. Let’s start with the bases. 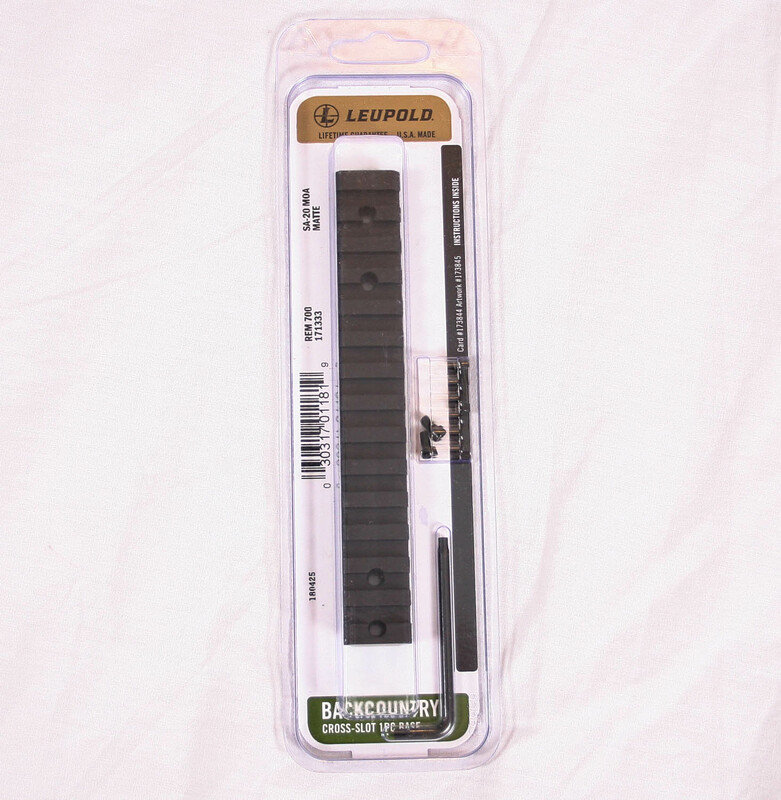 As far as we know, the name Picatinny is not a registered trademark, but Leupold never uses that name, nor the official term MIL-STD-1913 rail, or any of the other common names for a Picatinny rail. Instead, they refer to them as a Cross Slot rail, which technically is correct as well. They do say that the rails are “Picatinny compatible” on their web page, so we know they are willing to use it, they just elect not to use it in their naming. No problem…just know that they are Picatinny compatible rails, which means Weaver style rings will work on them as well. The rails are machined from 7075-T6 aircraft grade aluminum and are coated with a matte black anodizing. The rails are available for most of the popular rifle actions types out there such as Remington, Weatherby, Winchester, Savage, Howa and others. They are also available in either a flat (0 MOA) or canted (20 MOA) configuration. A scope mounting rail like these is really not an overly complex piece to machine and once the program is in the CNC computer, machining then becomes easy. The quality of the machining appears to be high and we have used several of them on different rifles with good results. You can see in the picture above that there is no built in recoil “ledge” that you see on some bases, so the full brunt of the recoil is handled with the four 6-48 screws that hold the base to the action. 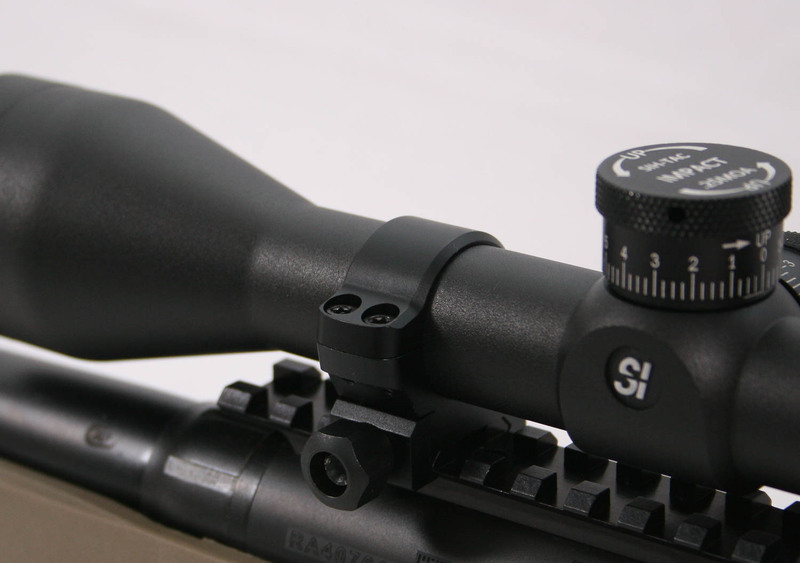 The screws appear to be the same screws supplied with Leupold’s own Mark4 high-end rails, and they appear up to the task. Aluminum does save a few ounces of weight and good quality aluminum can be quiet durable, but obviously they will not hold up as well as a steel base. The suggested retail price on these rails is $69.99 for either the flat or canted version, with street prices a bit below that. So far, we have been happy with the quality and durability of these rails…but for something so simple, that is to be expected. Rings, on the other hand, are not as simple and straight forward to make as a rail. There are moving parts, multiple pieces that have to mate up, and less tolerance for sloppy machining that need to be contended with on a set of rings. Also, while there is no specific trait that makes a scope ring a “tactical” ring versus a “hunting” ring, there is a demand that they be extra durable. This typically means that they are thicker and more built up and rugged than normal in order to hold up to more abuse, recoil, and field use. The BackCountry rings are a four screw design, which is what most tactical rings are that are not designed for extreme recoil. The rings are a horizontally split ring which we prefer over vertical split rings. The ring cap is rounded and not as thick or built up as a pure tactical ring. The lower half, on the other hand, is more built up than the upper and it appears more tactical in appearance. The cross slot screw itself is similar to what is found on other rings and is made of steel, as would be expected, and the quality of machining and construction appears good throughout. The thinness of the ring cap may be a concern for a combat sniper rifle that will see lots of prolonged field use for extended periods of time, but for more moderate use, the design appears sturdy enough. The rings are available in multiple diameter sizes including 1″, 30mm, 34mm and even 35mm. Available ring heights include Low, Medium and High. Having used several sets of these already, we have noticed that they have mounted up nicely without some of the cross-threading stiffness we have periodically felt in the caps of other aluminum rings such as the XTRs. 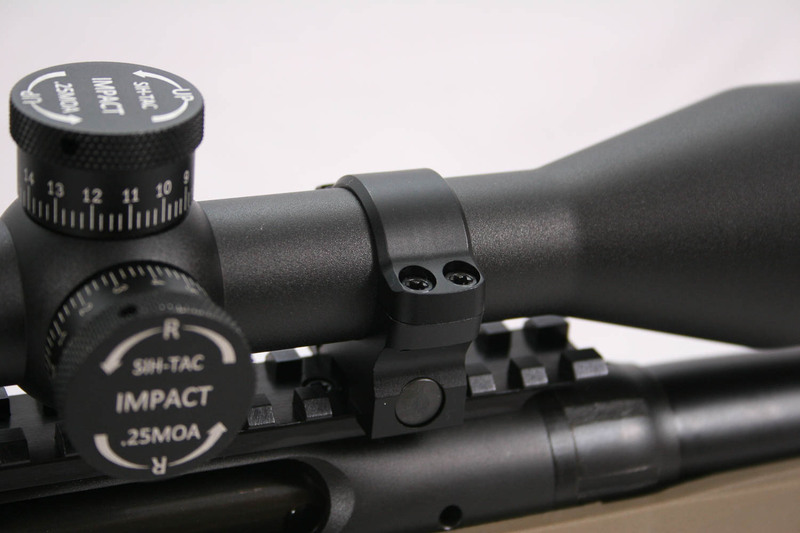 The screws match up nice and as of yet we have not had any stripped screws or broken cross bolts which can happen when torquing low quality rings to tactical specs. The scopes have held zero so far, but we have not had tons of field use with them yet to jostle and jiggle them for a prolonged test. If we start seeing problems, we will be sure to report it. The suggested retail price on a set of BackCountry cross slot rings is $119.99 for any diameter or height and the street price is below $100. This price is a bit higher than the XTRs, but lower than the price of a set of full tactical rings. Perhaps it has found a good middle ground.